This is a list of limited edition USB albums from Lady Gaga, The Beatles, Queen, Bob Dylan and Bon Jovi. These custom-made drives didn't ship in large volume, but did a fanastic job to keep fans satisfied. USB albums get released every now and then by some of the highest profile artists around the world. They continue to serve well as collectibles to build fan loyalty more than as a viable distribution medium to boost sales. This doesn’t come as a surprise because these custom-made thumb drives not only carries a premium pricing but also ships in extremely limited quantity. These novelty albums, being mini flash drives themselves, come with ample of space for everything from lossless FLAC version of the recordings to exclusive bonus content. Some of them even contain a complete collection of an artist’s or a band’s releases. Without further ado, here’s a list of 7 highly collectible USB albums ever released; more will be added as they become available. Lady Gaga’s first three hugely successful albums (i.e. Fame, Fame Monster and Born This Way) came out alongside their USB siblings between 2008 and 2011. The drives themselves are humorous representations of the diva, which are reminiscent of the original album art design. In terms of content, all the limited edition albums contain all of the songs on the original release plus a handful of remixes, digital booklet and MVs. The Born This Way album in particular comes with 4 episodes of Gaga Vision, which seems to be some semi-intimate outtakes from various parts of the music diva’s Rock’n’rollercoaster life. It’s, however, too bad that Artpop – Lady Gaga’s third album – hasn’t received a similar treatment. You say you want a revolution? 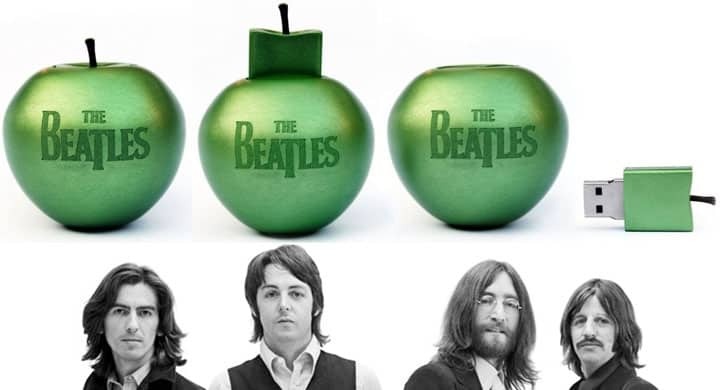 There’s no question that the Beatles were a revolution, changing the face of music and arguably the world in their wake. It’s no surprise to see a one-of-a-kind USB drive loaded with the band’s entire recorded works. The 16GB drive inscribed with the band’s name includes all 14 digitally remastered LPs in 24-bit 44.1kHz FLAC and 320kbps MP3 format along with 13 mini-documentary films and liner notes. Only 30,000 of these apple-shaped drives were made in total when Apple and EMI cooperatively released this $280 album in December 2009. It is hard to imagine but the fact still remains that the iconic rock band Queen is forty years old. 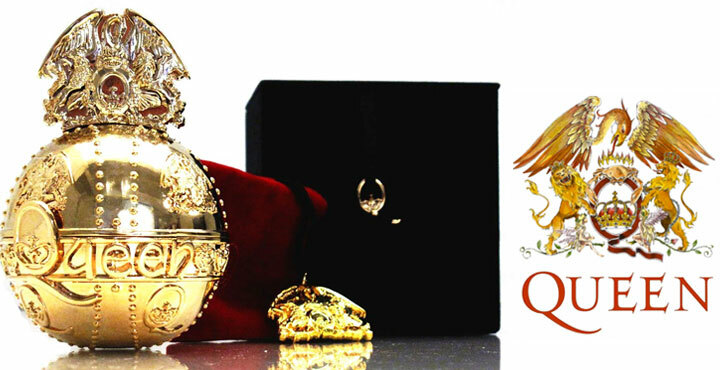 To celebrate this amazing milestone, the group came up with this Queen Orb Gift Box in April 2012. By first removing the golden orb from its velvet black case and then simply opening the top crest, you cannot only find a gold-plated Queen crest pendant necklace nestled inside, but also a USB drive. All 15 (re-mastered) studio albums are included in both 320kbps MP3 and 24-bit 44.1kHz WAV format. In a limited edition of 5000 units that sold each $350 each, every aspect of the individually numbered box set screams collectible. Folk fans were delighted to hear that their beloved Bob Dylan’s entire discography which spans from ’62 debut album on up to 2012 Tempest was shipped in limited edition on a USB drive. 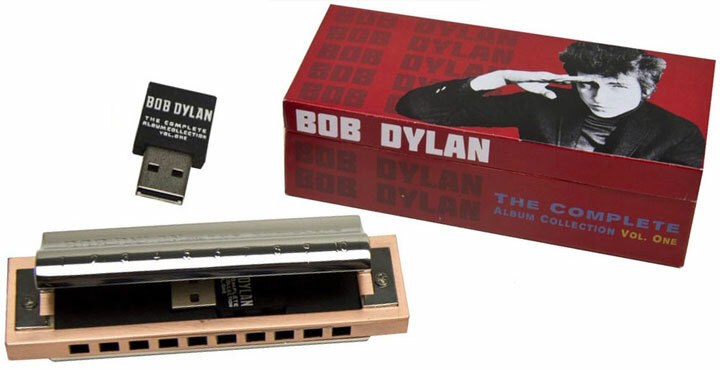 Columbia Records put the itty bitty drive that fits perfectly in a harmonica packaging. Together 35 studio albums, 6 live albums and countless singles along with a digital version of the hardcover booklet are preloaded in both MP3 and lossless FLAC format. Unfortunately, all this pleasure comes with a painful price tag of $364, but as the “The Voice of a Generation” once said in his song Silvio ”Every pleasures got an edge of pain, pay for your ticket and don’t complain”. As of this writing, there appears to be some units up for grabs at different online stores. The Greatest Hits by Bon Jovi – the American rock band from New Jersey – is the USB equivalent of the group’s complication album that was released in 2010. The drive itself the heart section whereas the dagger is the cap. Fans in love with the album cover should find this limited edition drive appealing. Inside the drive are 26 hit songs recorded by Bon Jovi between 1983 and 2010; and 4 new songs are additionally included as of the ultimate collection. 17 original music videos and digital booklet can also be found in the 2GB stick. The above is obviously a non-exhaustive list; more USB albums will be added as they become available.